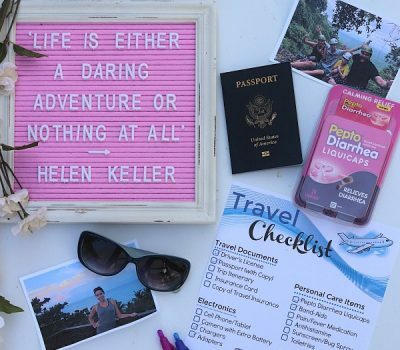 With summertime in full swing, we’re spending lot of time outdoors, especially in the evenings. As the sun goes down and the weather cools slightly, I’m finding myself more and more often serving dinner on the porch as the wind blows through the leaves and the birds say goodbye to another perfect summer day. While our porch has become the perfect summer destination in our new home, I’m having to get creative when it comes to flavorful dinners and recently, I discovered that literally mixing up a meal that had all of my family’s favorite ingredients is a sure fire way to find culinary success. 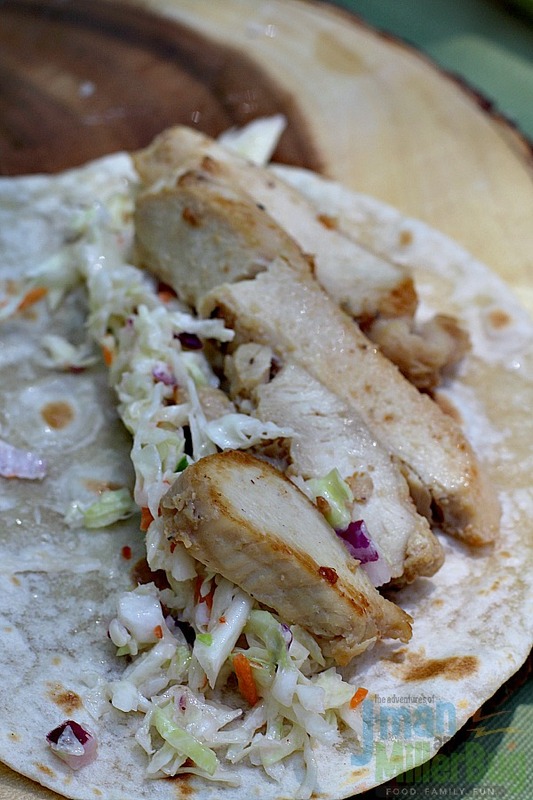 With zesty Italian slaw, protein packed chicken and fresh tortillas, these Zesty Chicken Tacos have become an instant hit in my home and did I mention, they are crazy easy to make? 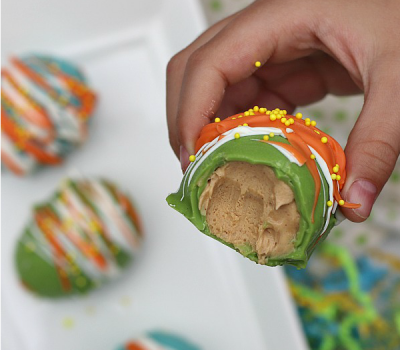 So how did this fun (and simple) recipe come about? 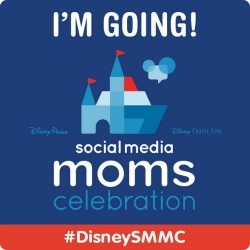 Well, in my home there is no such things as Taco Tuesday….instead, it’s Taco any day! I have to say that all of my boys love anything served on a tortilla shell so yeah, I’ve been taking advantage of that any chance I can. And when I was recently at Walmart and noticed TortillaLand® Flour Tortillas in the refrigerated section, an idea was born. 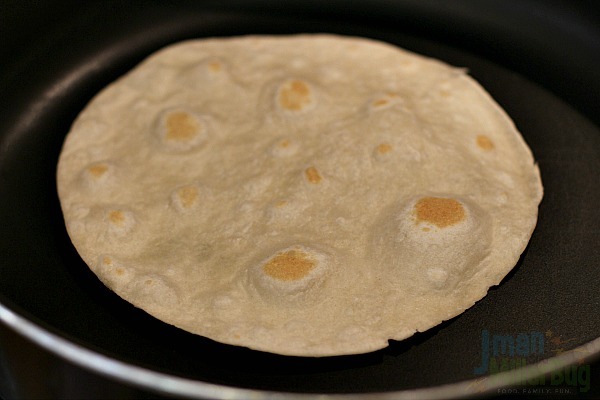 Now, I’ll tell you all about what makes TortillaLand® Flour Tortillas a must shortly, but before that let me walk you through the grocery list you’ll need for this simple meal. Once I had all of my ingredients from Walmart in hand, whipping up this flavorful dinner was amazingly easy. To start I mixed up my slaw by adding my shredded cabbage, diced onions, light mayonnaise and two tablespoons of Wish-Bone® Italian Dressing to a bowl. 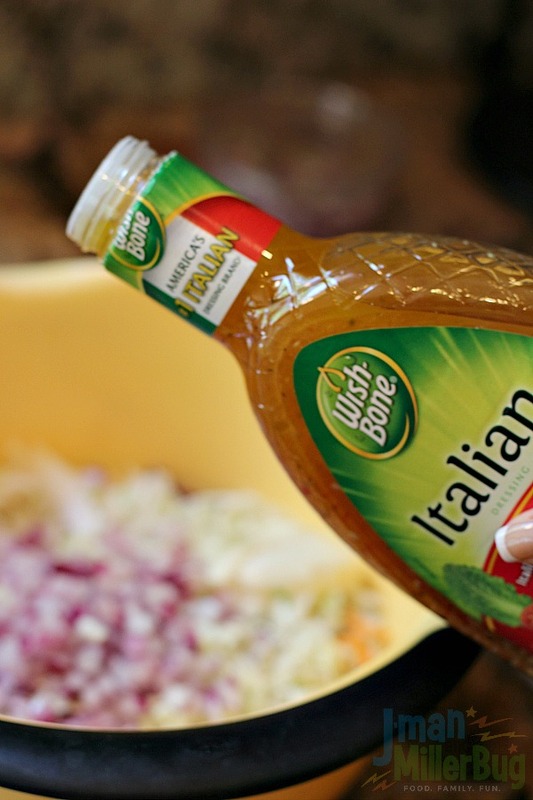 With all my ingredients in place, all I had to do was mix them together and set them aside so that the natural flavors would be enhanced by the robust, full-flavor of Wish-Bone® Italian Dressing that is packed full of herbs, seasonings and flavors for an extra zesty boost! 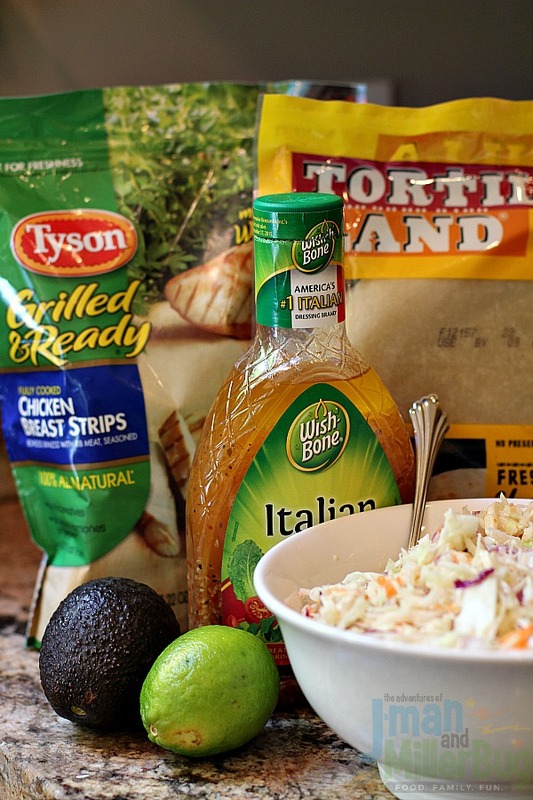 With my zesty Italian slaw mixed to perfection and boasting amazing flavors, with no high fructose corn syrup thanks to the addition of Wish-Bone® Italian Dressing, I assembled the rest of my ingredients and prepared to complete my Zesty Chicken Tacos. While my slaw was marinating, I opened my bag of Tyson® Grilled & Ready® Chicken and added it to a pan with a teaspoon of olive oil. 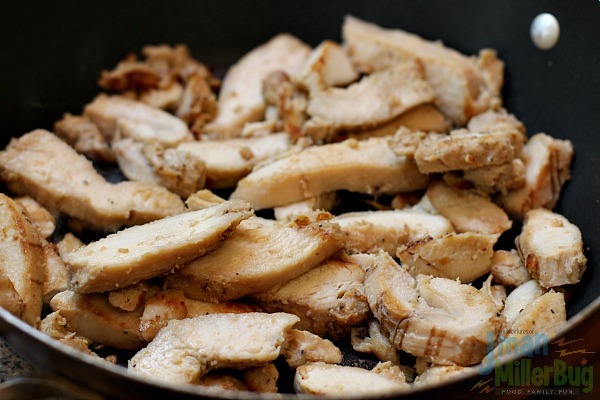 Since it’s already perfectly cut and ready to cook, it’s a simple and convenient way to add delicious protein to so many meals and I knew that it would make my Zesty Chicken Tacos amazing! After cooking my convenient Tyson® Grilled & Ready® Chicken, I was ready for the final step in my culinary creation: the taco shells. 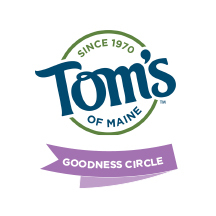 Now, I’m going to tell you that I’ve eaten my fair share of tortillas in my life but never have I tasted freshness like I was able to achieve with TortillaLand® Flour Tortillas! I would have never thought to look for them in the refrigerated section of Walmart, but they are uncooked tortilla shells that make all the difference! With only five simple ingredients and no preservatives, they take fresh to a new level and preparing them is as easy and heating a pan to medium heat and then cooking each side for about 30 seconds, until the TortillaLand® Flour Tortillas begin to bubble and brown! Easy, right? And oh, so worth it! 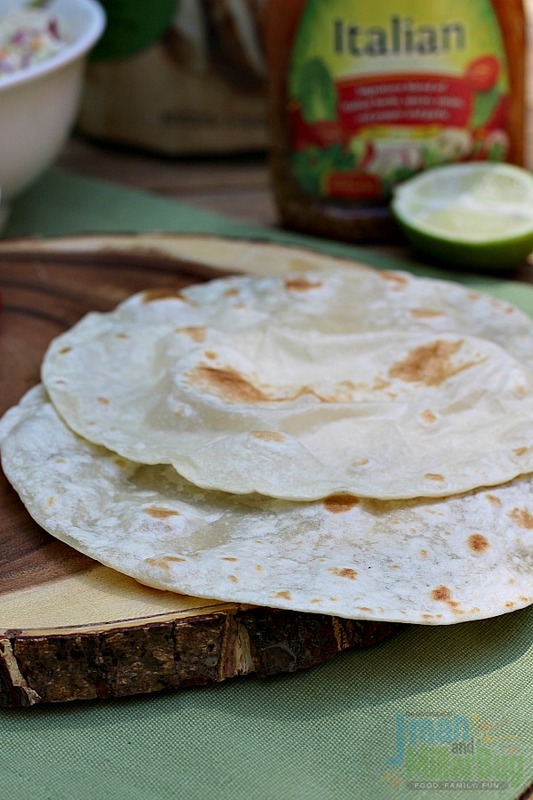 I may never eat another pre-cooked tortilla shell in my life – try them yourself and you’ll know why! But I digress….back to those mouthwatering Zesty Chicken Tacos. 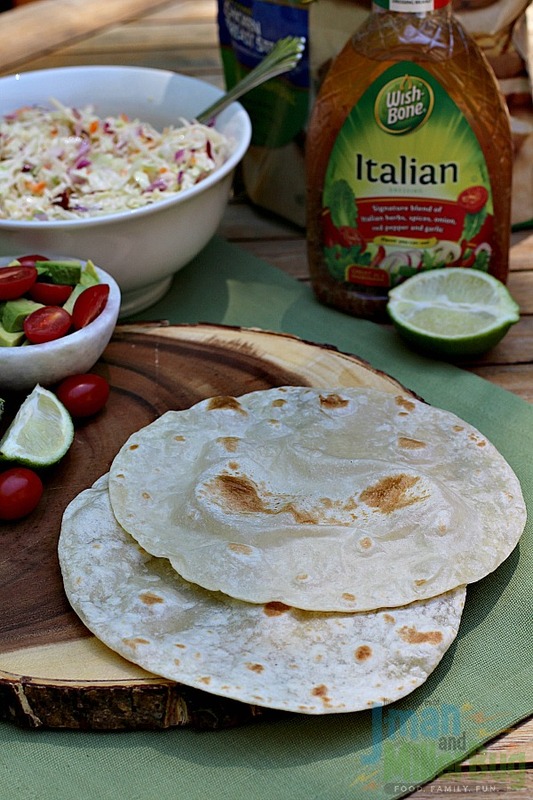 Once my TortillaLand® Flour Tortillas were cooked to perfection it was time to mix all the amazing flavors I had created together into one unforgettable dish! 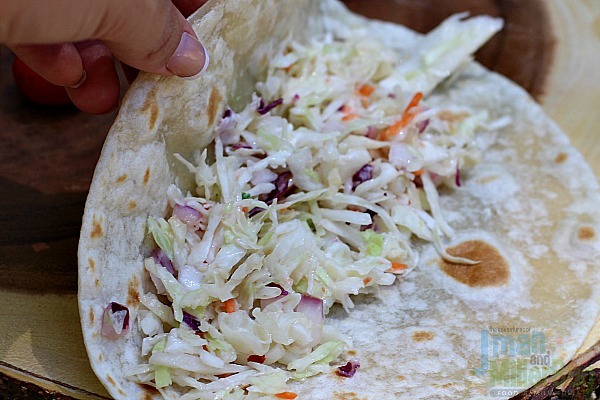 To start, I spooned my Zesty Italian Slaw onto my perfectly prepared TortillaLand® Flour Tortillas. Next, several slices of my protein packed Tyson® Grilled & Ready® Chicken went on top of my slaw. 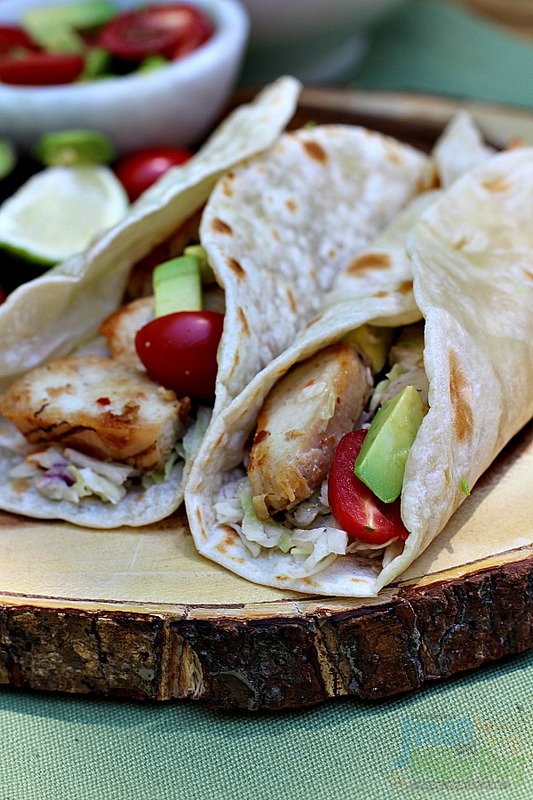 Now, I could have just relied on the flavors of the slaw to make these Zesty Chicken Tacos amazing but I wanted them to be absolutely bursting with flavor so I sprinkled a little more of my flavorful Wish-Bone® Italian Dressing over the top of my cooked chicken. 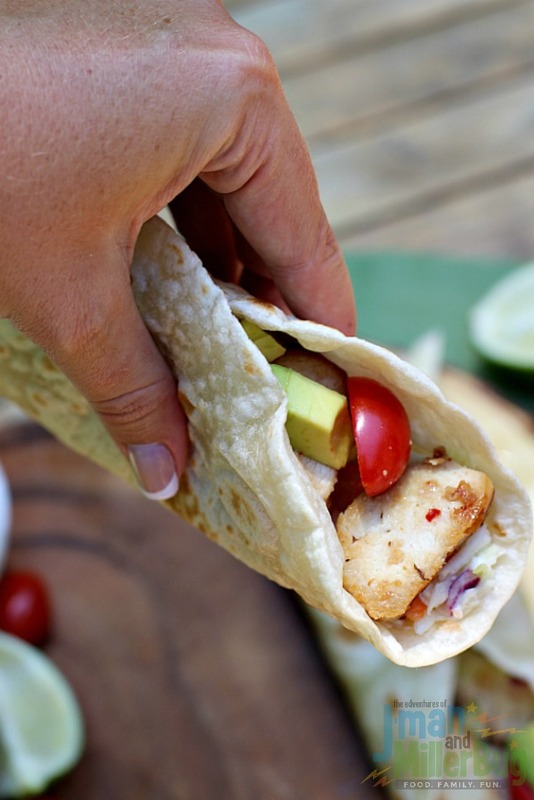 After adding a little bit of my diced avocados and tomatoes, I folded my tortilla shell over and my Zesty Chicken Tacos were ready to enjoy! 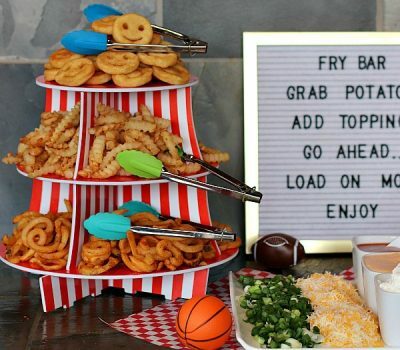 I have to say, they looked absolutely amazing and all three of my boys were standing by the table drooling, waiting for me to give them the signal to dig in. And as soon as I said go, dig in they did! 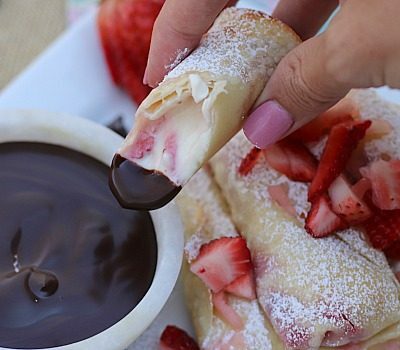 With freshness and an amazing combination of flavors in each and every bite, this was a meal that quickly disappeared! 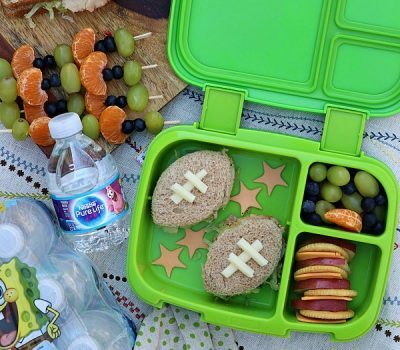 But more than that, it’s a simple meal that I can whip up any night of the week when I want to mix things up, pack my meal full of protein and ensure that there is freshness and flavor in each and every bite! 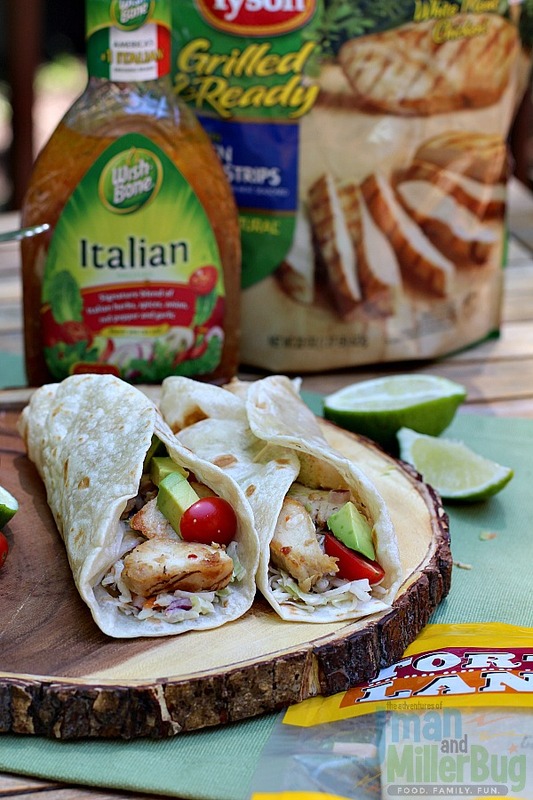 As our entire family took bite after bite of our flavorful Zesty Chicken Tacos, it became clear that simple ingredients and bold flavors matter when creating the perfect summer meal. Going forward, I know this meal will be repeated time and time again. 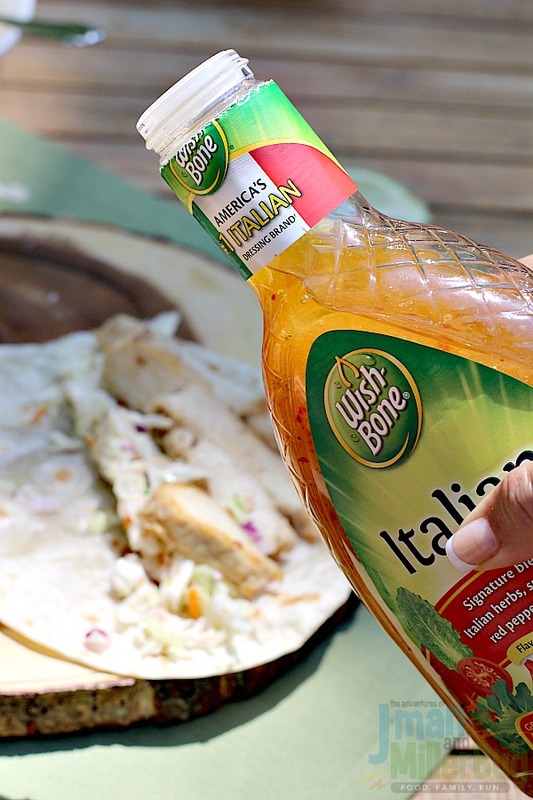 But more than that, I’ll be finding new ways to mix up the flavors of Wish-Bone® Italian Dressing, Tyson® Grilled & Ready® Chicken and TortillaLand® Flour Tortillas to create simply amazing meals that my family can’t get enough of. 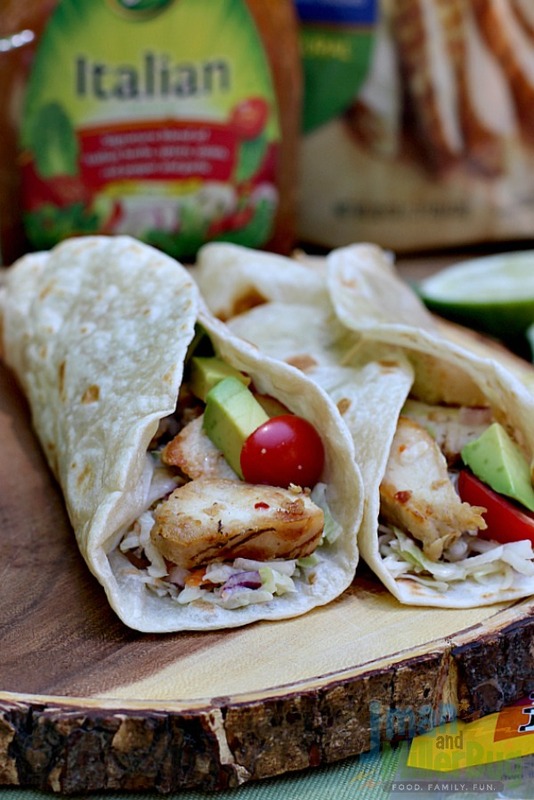 As you prep for this week’s meals, be sure to stock up on the ingredients for these easy Zesty Chicken Tacos. 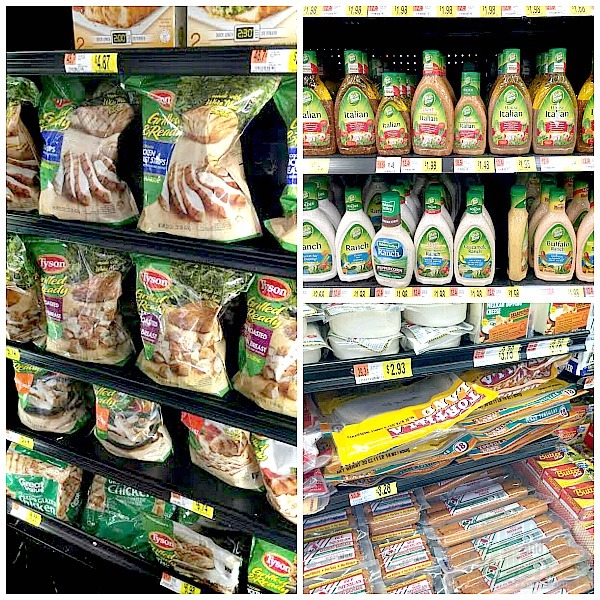 Start by heading to Walmart and be sure not to forget your Wish-Bone® Italian Dressing, Tyson® Grilled & Ready® Chicken and TortillaLand® Flour Tortillas! 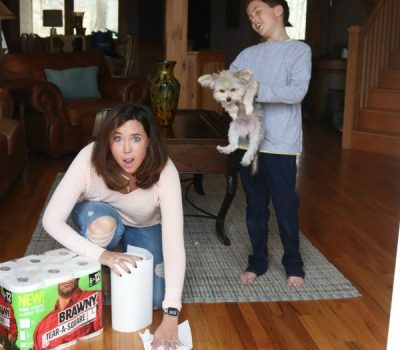 Then tell me, how would you use these amazing ingredients to mix up a flavorful meal for YOUR family?